It's always fun discovering new brands, and Cosmeme recently introduced Le Couvent des Minimes (the south of France convent-turned-botanical skincare brand) to their comprehensive beauty lineup. Aftering sniffing my way through all Le Couvent des Minimes's fragrance series, I chose the Exfoliating Shower Pulp in Orange Blossom & Petitgrain. The subtle, juicy, spicy, floral, and citrus notes of Orange Blossom & Petitgrain layer favorably with Sabon's Ginger Orange Shower Gel. Now, I've been spoiled by Sabon's Body Scrubs, making it difficult to gage other exfoliators. Even through I wish the Exfoliating Shower Pulp had more granules, it does a decent job of cleansing, exfoliating, and leaving my skin feeling soft. 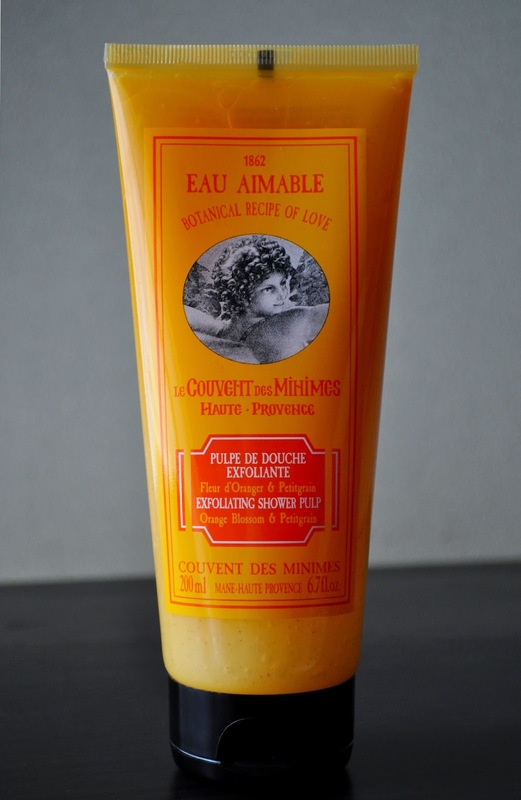 Le Couvent des Minimes Exfoliating Shower Pulp in Orange Blossom & Petitgrain contains 200ml and retails for 1,620 yen. I'm already on my second tube, love the scent Sue.